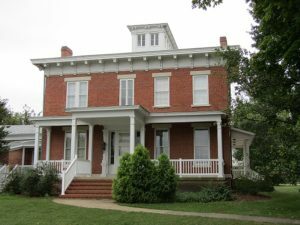 When planning an expedition along the River to River Trail in Shawnee National Forest in IL, find restful lodging through the Illinois Bed & Breakfast Association. Spanning southern Illinois lands from Battery Rock on the Ohio River to Devil’s Backbone in Grand Tower on the Mississippi River, the trail is part of the American Discovery Trail, which extends from Point Reyes National Seashore in California to Cape Henlopen State Park in Delaware and is over 5,000 miles. Several access points are available throughout the route. While on the trail, hikers have the opportunity to see some of the most beautiful scenery in this country including the Shawnee National Forest Wilderness, Giant City State Park, Crab Orchard Wildlife Refuge, Ferne Clyffe State Park, Devil’s Backbone Park, Cedar Lake, Camel Rock, Battery Rock, the Gap, and small towns such as Alto Pass, Makanda, and Rock Creek, IL. The trail serves as the intersection of southern/northern and eastern/western ecosystems, so hikers may see a wide assortment of wildlife including the river otter, coyote, bobcat, and rattlesnakes. Birding enthusiasts delight in the chance to catch glimpses of the bald eagle, wild turkey, blue heron, and yellow warbler. The trail is approximately 160 miles and takes about 2 to 3 weeks to travel in its entirety. The terrain is considered easy to difficult with no long sustained climbs but several grades that are described as “rugged”. Directional trail-markers are white diamonds with a blue “i,” but it is suggested that hikers also use a map and compass and pack plenty of water. The trail is accessible and passable year-round except for the coldest days in January and February; however, average winter temperatures are usually in the 40s.